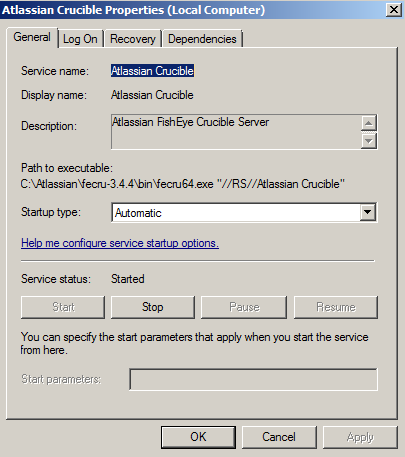 If you have previously installed Fisheye or Crucible as a Windows service, you must uninstall the old service before upgrading the service to the new version of Fisheye or Crucible. 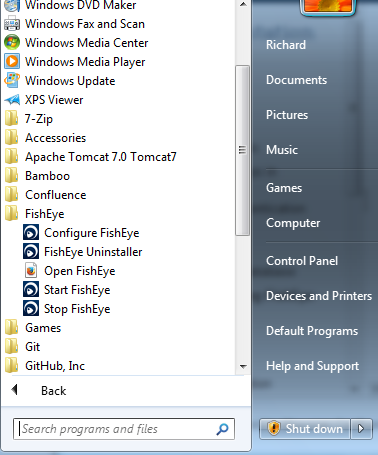 The method for uninstalling a Fisheye or Crucible service on Windows depends on how the service was first installed. 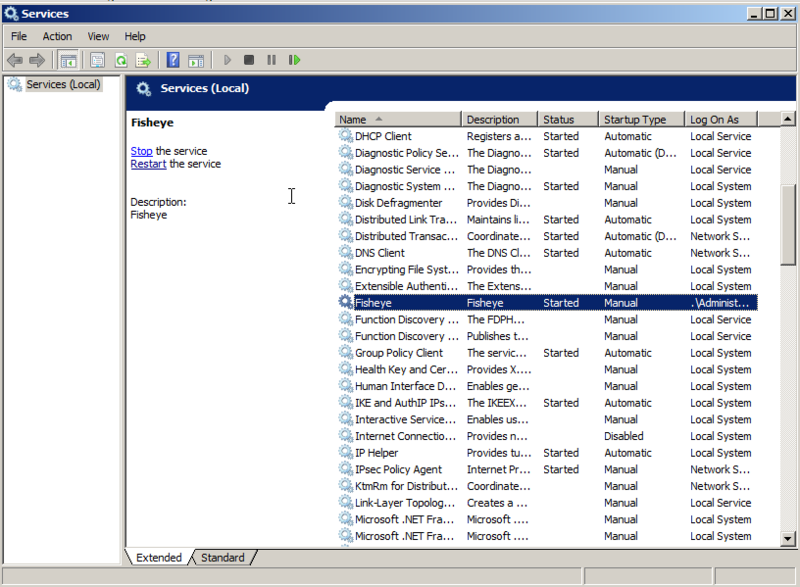 Locate the Fisheye or Crucible service in the Services administrative tool on Windows. In this case, see the Java Service Wrapper uninstall instructions below. In this case, see the Windows Installer uninstall instructions below. If the service is running, stop the service. Once the service is stopped, set the Startup type to Disabled and click Apply. 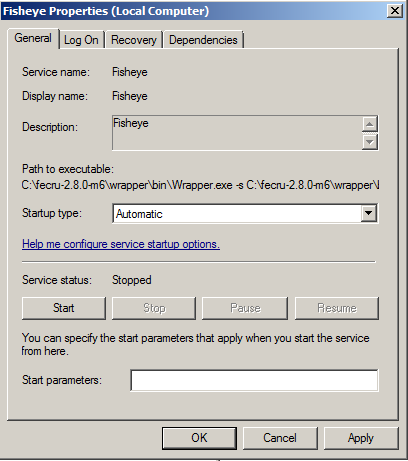 Navigate to the service wrapper bin directory. This is the directory that contains the Wrapper.exe file specified in the "Path to service" in the service information dialog. In the example above, this is C:\fecru-2.8.0-m6\wrapper\bin. Execute the Fisheye-Uninstall-NTService.bat file in this directory. The path to the application data directory will be a config line specifying the fisheye.inst JVM argument. 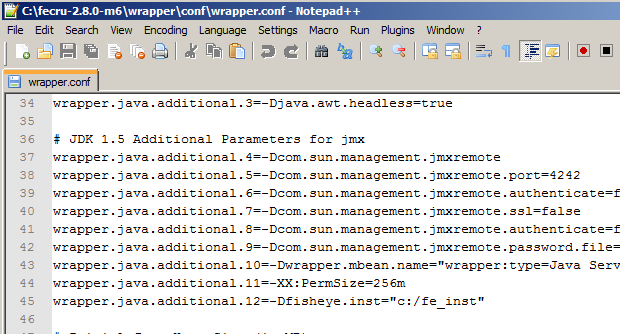 In this example, the relevant configuration line is wrapper.java.additional.12=-Dfisheye.inst="c:/fe_inst".